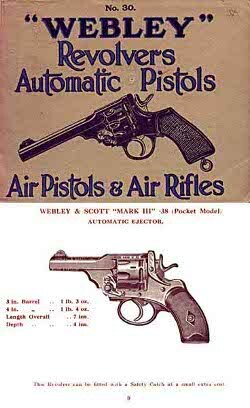 Cornell Publications lists over 2500 reprinted gun catalogs from as far back as 1835. There is a huge selection from the British Commonwealth and European catalogs also. This pictured example of Webley revolvers is 43 full color pages sized about 6" by 8" for $13.95.